SAVE £200 with our Payday Deal! 2 Wireless charge compatible (QI standard) devices only. Battery charge above 30% required to PowerShare on the move without being plugged into mains charge. 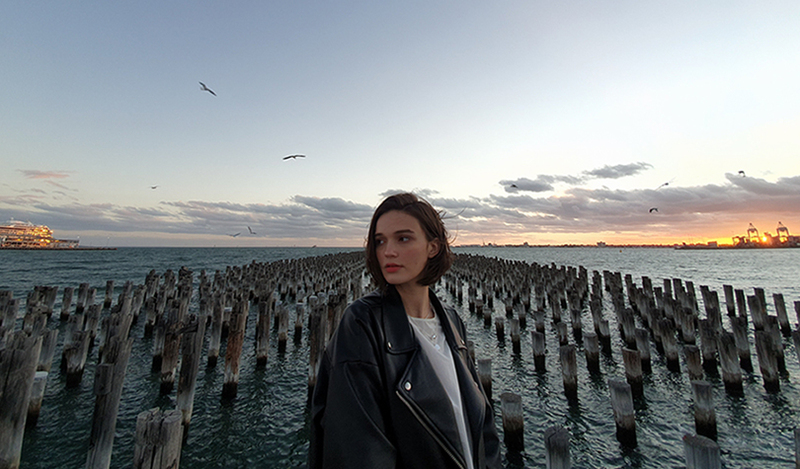 3 Only available when shooting with the Ultra-Wide camera in Full HD. 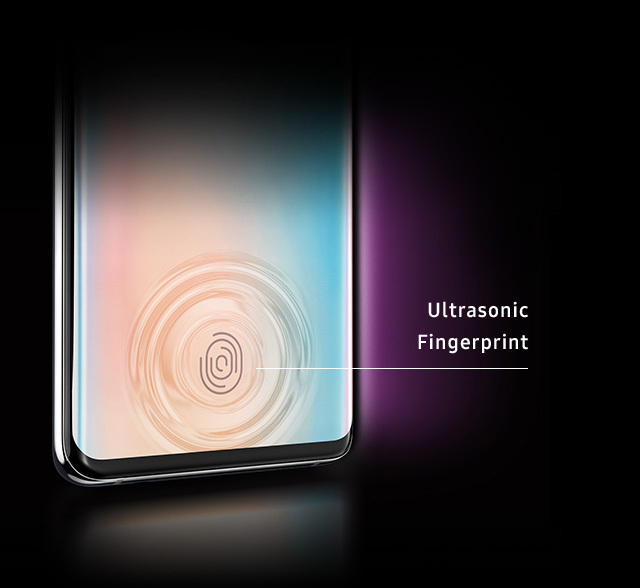 Keep your phone secure with the new Ultrasonic Fingerprint Scanner. It reads every ridge and notch of your finger, and because it sits under the screen, your finger won't accidentally smudge your rear camera ever again. 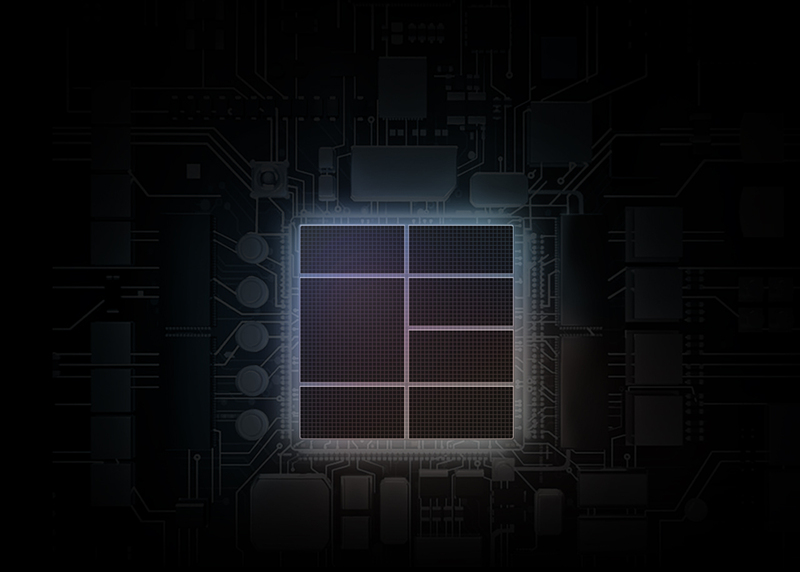 It even performs in low temperatures and strong sunlight. See only what you need, find focus in what you're doing and use your phone in a way that feels like second nature. Our new interface, One UI, works with the way you use your phone. Screens are uncluttered, icons pop with colour, and we've even made it easier to use one-handed. Go further and do more. 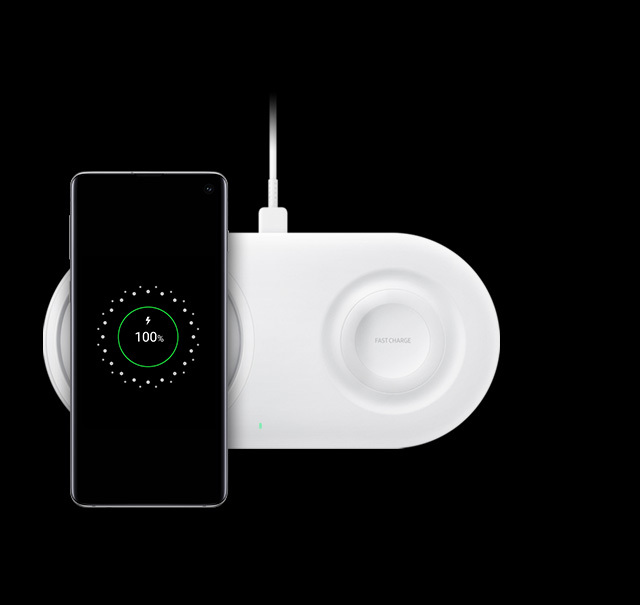 The Galaxy S10 has a battery that will keep you in charge when it matters most. Binge on boxsets or flick through playlists with plenty of power to keep up. And with Wireless Charging 2.0, simply pop your phone on the charging pad4 for a quick power boost. 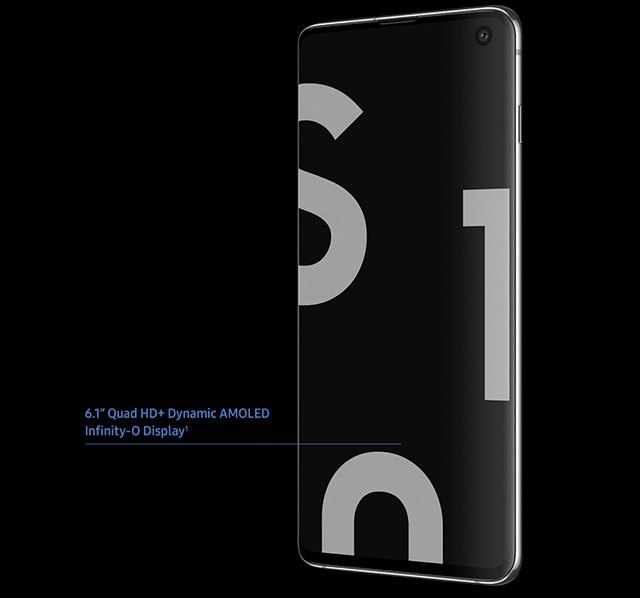 What’s the screen like on the Samsung Galaxy S10? 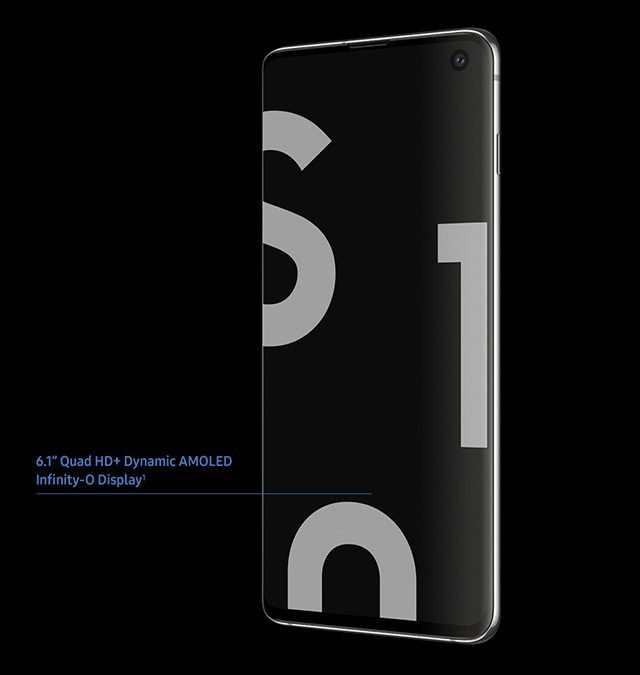 The Samsung S10 has a gorgeous 6.1inch Infinity-O display. 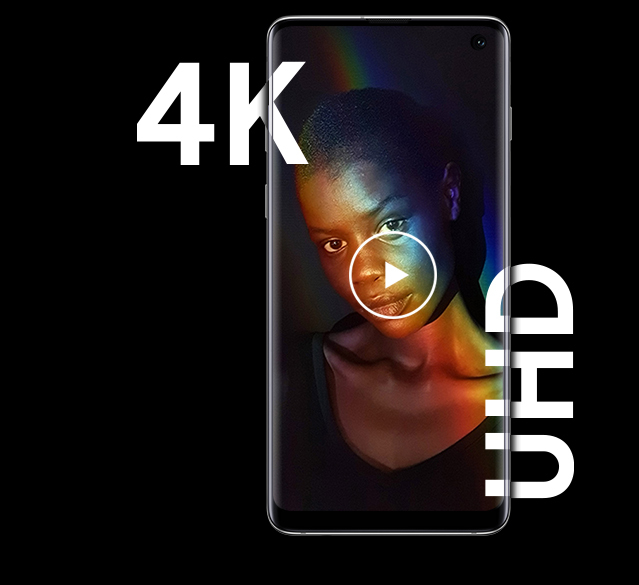 It’s made from glass that wraps around from edge to edge of the phone and a simple dot cut out on the top-right for the front-facing camera, otherwise known as a holepunch screen. 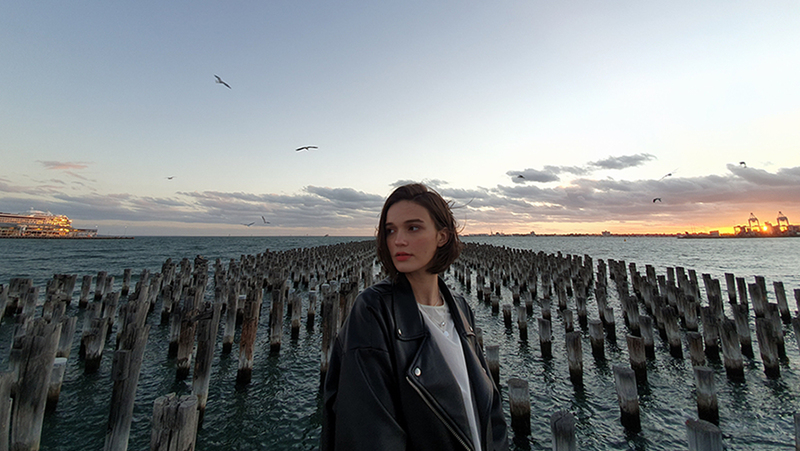 How good is the camera on the Samsung Galaxy S10? The camera on Samsung S10 features three rear cameras, including an ultra-zoom and ultra-wide lens. This means you can capture every moment, from beautiful landscapes, portraits of your friends and family and captivating nature shots. 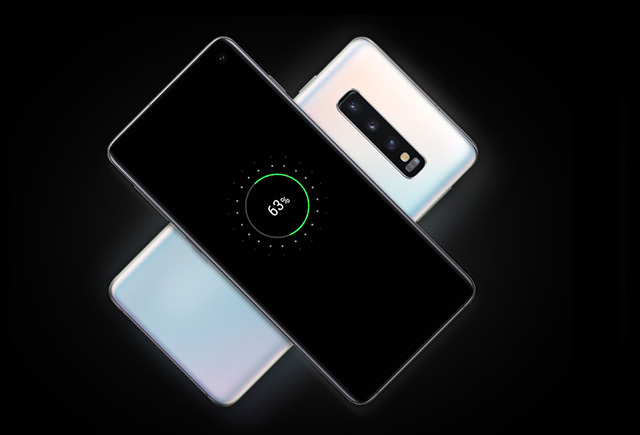 What’s the battery life like on the Samsung Galaxy S10? Stay charged all day with the 3400 mAh battery inside the Samsung Galaxy S10. The larger the capacity battery, the longer charger you will get out of your smartphone. 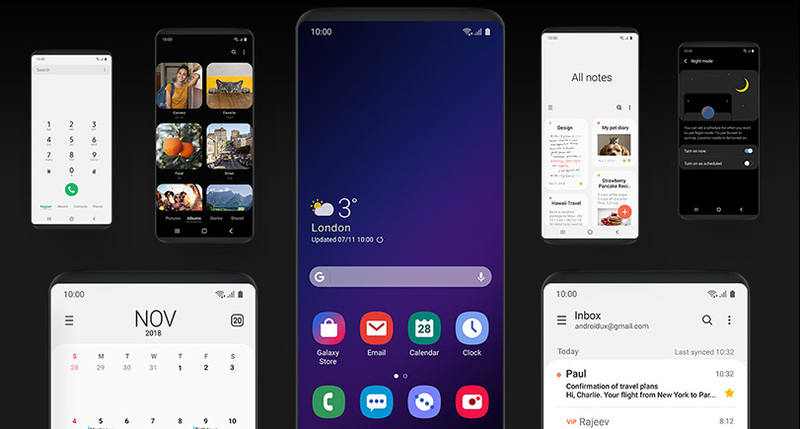 Samsung have also optimised their operating system to remember your behaviour patterns to help reduce battery consumption on your less frequently used apps. It’s just that clever! 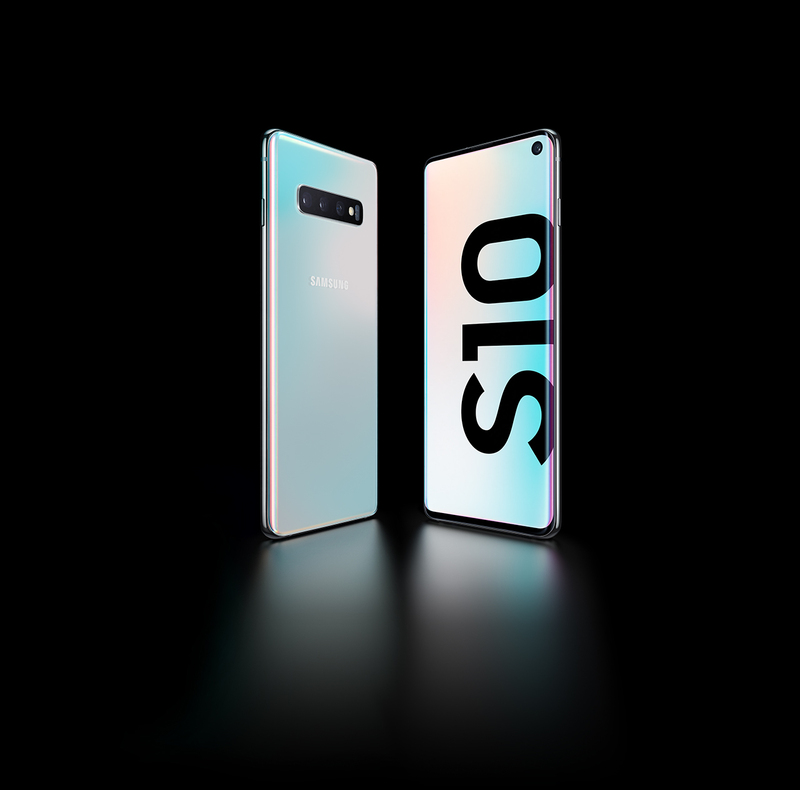 What operating system does the Samsung Galaxy S10 have? Like normal, Samsung uses Google’s Android operating system. They’ve made some major adjustments to make sure their version of Android is cleaner and simpler to use. Making it a smooth experience to get all your daily tasks done. How much storage is in the Samsung Galaxy S10 and does it have expandable storage? Storage is important to us all, and luckily Samsung haven’t let us down. 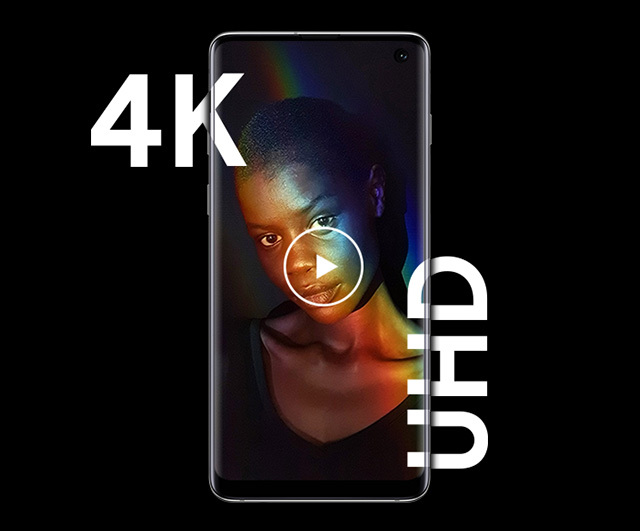 The Galaxy S10 has 128 GB or 512 GB of internal memory, depending on what model you go for. You can also use a microSD for expandable storage. 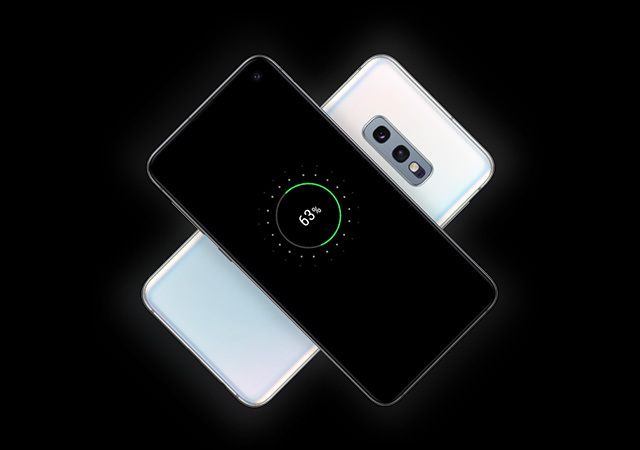 What is PowerShare on the Samsung Galaxy S10? 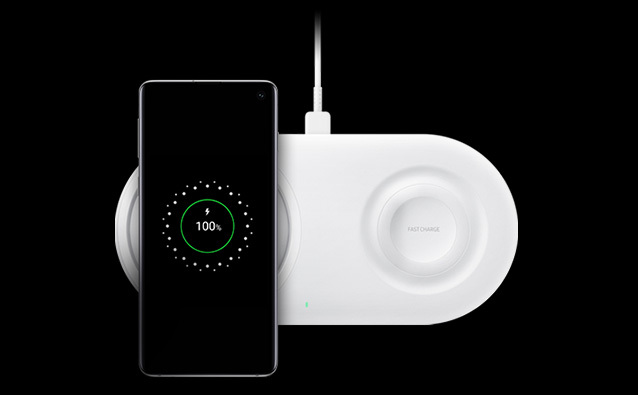 PowerShare is Samsung’s clever technology that lets you charge a friends wireless charging phone with the back of your S10. Simply turn it on in the settings and place the Qi-enabled phone on the back of yours so they can get some more juice. It’s simple and you’ll be the saviour in the friendship group. 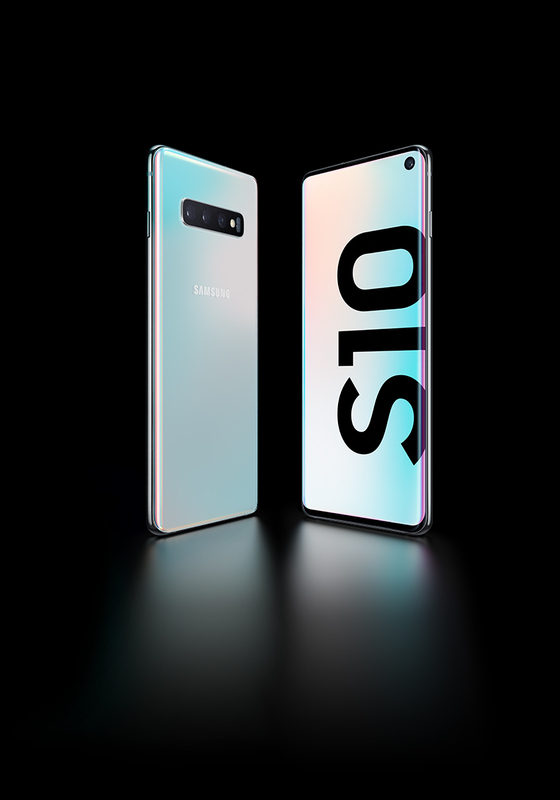 What security features are on the Samsung Galaxy S10? 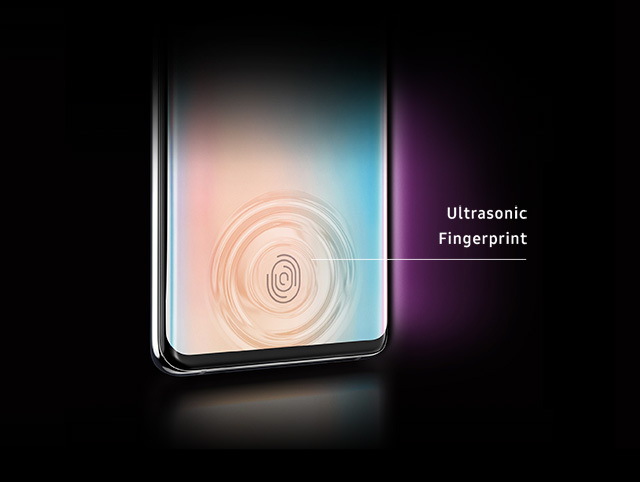 Samsung Galaxy S10 features an Ultrasonic Fingerprint Scanner inside their device. This means you won’t have to worry about smudging your rear-camera and can simply press the screen to unlock your shiny new smartphone. Does the Samsung Galaxy S10 have a headphone jack? The short answer is, yes. The Samsung Galaxy S10 still has a headphone jack so you won’t need to fuss over any adaptors or buying wireless headphones any time soon. This smartwatch not only does all the great fitness and wellbeing stuff that you'd expect, but it looks awesome as well. The stylish design and classy colour will turn heads, and you'll be impressed by the specs. Keep your Galaxy S10 fully protected and looking brand new with this fantastic clear view cover. This LED case displays animated lights on the cover to show the time, notifications and caller information – all while protecting your phone. The XQISIT Flex Case for the Samsung Galaxy S10 is silm, light and compact, so your phone will glide effortlessly in and out of your pocket. 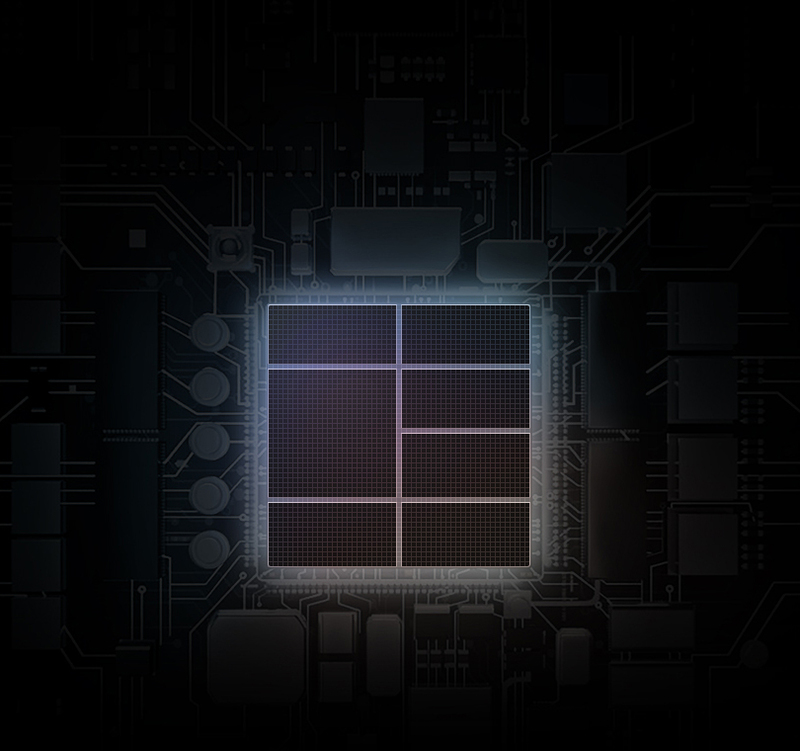 And becuase it's built from strong and flexible TPU, you'll get real protection from bumps, bashes and drops. With a slim but solid screen protector, a portable car charger and a protective case, the Samsung Galaxy S10 Essential Bundle will keep your phone charged and protected.